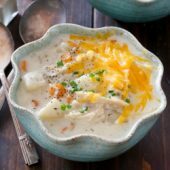 Creamy homemade slow cooker chicken and potato soup topped off with shredded cheddar cheese and chives. A comforting meal, perfect for any day of the week. I did a really dumb thing over the weekend. Granted, it was all in good fun, but it resulted in an injury. Mine to be exact. Racing a five year old to the stairs, trying to beat him upstairs for bedtime, with the intention of skipping every other stair on the way. We made it to the stairs just fine. It was when my foot hit the first stair that things went downhill. I somehow landed on my big toe in a horrible way. So much worse than stubbing my toe, but not as dramatic as floppy broken bones… somewhere in the middle. It’s either a mild break or sprain. And either way, it hurts so bad. Limping my way around the house. What’s funny is I always get hurt or sick when I either just started to work out again or had intentions of doing so. It was the latter in this case. A sprained finger would’ve been so much easier to handle than a toe. And in other news… our fridge finally arrived! Seriously exciting news. No more living out of a mini fridge or coolers. And, just in time too, because the two days after it arrived, the temps were up in the low 60s… in New England! What?! It’s January! I’m seriously in love with this fridge. Such an adult thing. But really, it has so many fun features and a different layout than we had before. The downside, it took me forever to figure out how to organized everything. And somehow even after grocery shopping, it still looks pretty empty! Funny how the fridge can be the same size as our last but offer so much more interior space. I’m not complaining one bit! Now let’s hope we don’t have any other major issues anytime soon! A working fridge means plenty of storage space for leftovers! I’ve been busy working on lots of that. From lasagna, to pizza Friday leftovers, to this ridiculously good soup! So many leftovers to love. 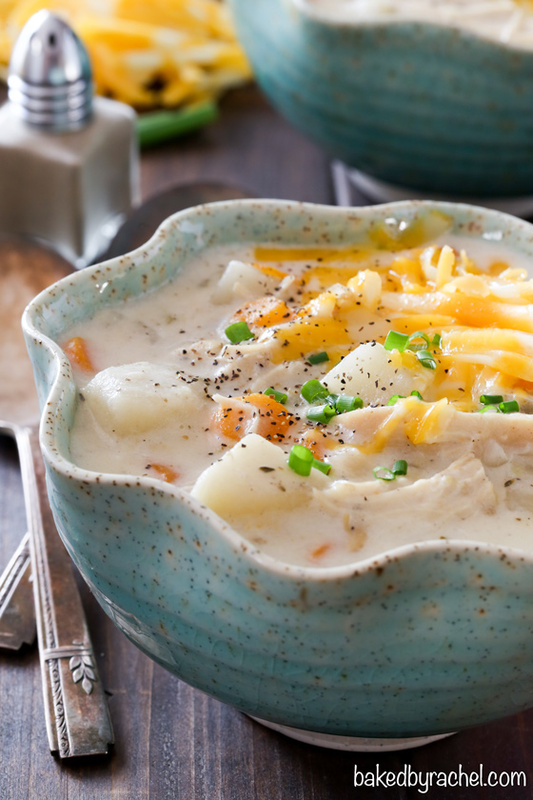 Super creamy homemade slow cooker chicken and potato soup. 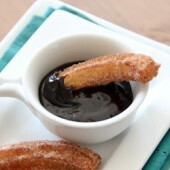 It’s heavenly… and seriously comforting! A perfect meal to whip up and enjoy on a cold winter day. 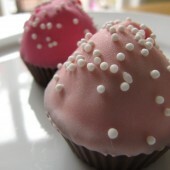 Best of all, there’s enough to share with the entire family and still have leftovers for the next day! Or, save them all for yourself. You just might want to, because this soup is just that good. 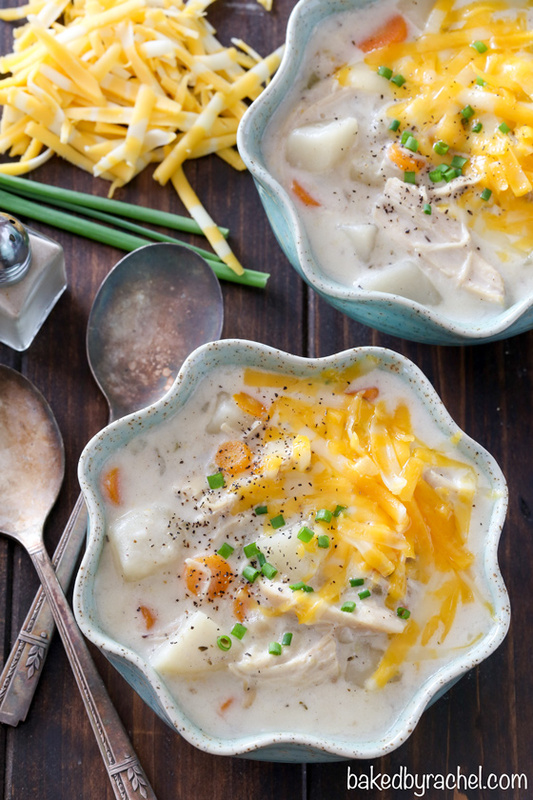 It’s a fun combination of a few of my favorite soups, making this an absolute winner. It’s so simple, yet packed full of flavor. I promise you’ll love it! 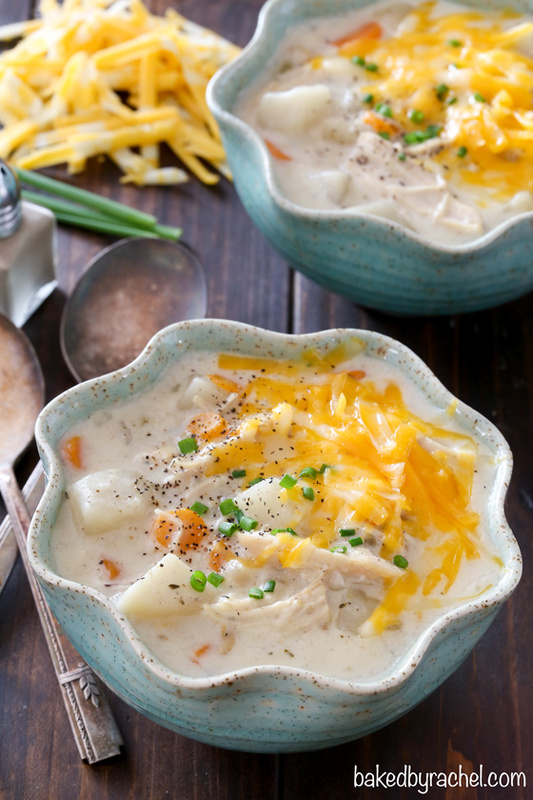 Be sure to add this creamy slow cooker chicken and potato soup to your dinner plans soon! To the bowl of a 5-6 quart slow cooker add raw chicken, prepared vegetables, seasonings, bay leaves and chicken broth. Cover and cook on high for 4 hours or on low for 8 hours. When inital cook time is up, discard bay leaves. Remove chicken breasts, shredding with forks. Whisk together flour and heavy cream until smooth. Slowly pour heavy cream mixture into soup, stirring to combine. Stir in shredded chicken. Cover and continue cooking for an additional 30 minutes. 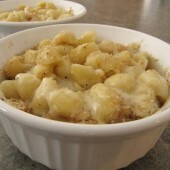 Serve warm with freshly shredded cheddar cheese, chives and a sprinkle of ground black pepper. For best results, use boneless skinless chicken breast, fully thawed. DANG this soup looks divine! Totally pinned it, can’t wait for some Winter weather in Australia so we can properly enjoy this one! Looks and sounds fab! Perfect for cold winter days! We’re expecting 4 straight days of rain, so this would be perfect! This soup looks so tasty! Pure comfort food. Sorry to hear about your toe. Ouch! I often race my 5 year old up the stairs at bedtime too…it’s the only way I can “trick” him into getting upstairs. Ha! Who knew racing a 5 year old could cause so many issues?! And thank you! So hearty and comforting! I love this! Thanks for this recipe, it was delicious!! My new favorite soup, which is saying something because I’ve never actually been a fan of soup. It’s a plus that it’s a crockpot meal too. Everyone in the family enjoyed it :) thanks!